-Lal Bagh or LalBagh Botanical Garden, translated literally into English as; "The Red Garden", is a well-known botanical garden in Bangalore, India. 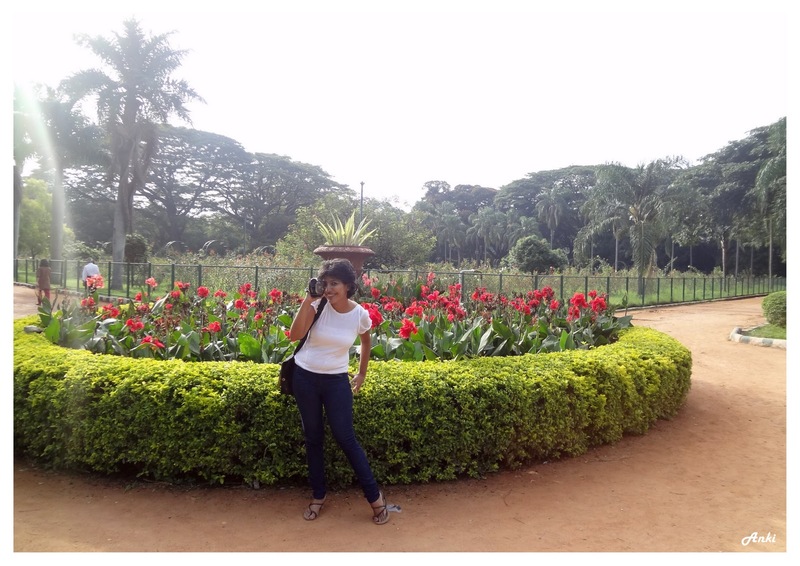 - The garden was commissioned by the ruler of Mysore, Hyder Ali. It has a famous glass house which hosts a yearly flower show. - It also has an aquarium and a lake, and is one of the tourist attractions in Bangalore. Lal Bagh remains open daily from 6:00 a.m. to 7:00 p.m. throughout the year. For the benefit of joggers, tourists and fitness enthusiasts, entry is free from 6:00 a.m. to 9:00 a.m. and from 6:00 p.m. to 7:00 p.m. At other times, a fee of Rs.10/- is charged. Entry for school children and the disabled is free all day. Flower shows are conducted every year to educate people about the variety of flora and develop public interest in plant conservation and cultivation. Lal Bagh has four gates. The western gate is situated near Siddapur Circle. One can enter this gate and enjoy the silvan atmosphere of the garden. Outside, touching the compound gate, is Krumbigal Road. The other side of the road touches the compound wall of R.V.College. The National College, Maharashtra Vidyalay, Chikkamavalli and Doddamavalli are nearby. The other side road goes to 'Krishna rao road', where you can see The Indian Institute of World Culture, a beautiful library and a fine auditorium, where there will be a programme every week. Farther south Model House street, and the Yediyur Terminus are the points. This is a wide road and for parking the vehicles it is the ideal place. If you happen to come from the Ashoka Pillar side, Jayanagar is close by. From this gate one can reach Basavanagudi. This is a fairly wide and big road. If you go straight, the Glass House is to be seen. All the important functions, exhibitions' workshops, and other programmes held from time to time, are arranged at Glass House, Lal baugh. This is the main exit as well. Ever felt like "I live in this city,I eat I sleep I drink yet I am a complete stranger".Yes,I am talking about lives of most of us.So one day when I thought of discovering the old charm "the garden city" I didn't know it would turn out to be this beautiful.Bangalore was once known as the garden city,so there's got to be gardens everywhere.I reached LalBagh Botanical Garden at around 07:30 am and yes,the park was not deserted at that time.The only days I get up at 07:30 is when I have to watch a morning movie at INOX(Rs 80 doesn't hurt my wallet!!) but I never knew that Bangalore wakes up early in the morning,the fact that was very much visible right here. Coming Up>Lalbagh Part 2>Contains "Wat Anki Says" continued,Rating,Facts And Maps.